"We had a flight canceled"
Not Verified | We had a flight Madrid to Delhi for this Easter and two weeks of the trip we have canceled alleging that the airspace of Pakistan is closed, yes, only have canceled the two less profitable routes to the company, from Madrid and Birmingham , nevertheless, from other places they have not canceled the flight, diverting the trajectory to avoid the conflict zone (Pakistan). Incredible the lack of seriousness of the Indian company. ES: Teníamos un vuelo Madrid - Delhi para esta semana santa y a dos semanas del viaje nos han cancelado alegando que el espacio aéreo de Pakistán se encuentra cerrado, eso sí, sólo han cancelado las dos rutas que menos rentables salen a la compañía, desde Madrid y Birmingham, sin embargo, desde otros lugares no han cancelado el vuelo desviando la trayectoria para evitar la zona conflictiva (Pakistán). Increíble la falta de seriedad de la compañía india. ✅ Trip Verified | Delhi to Mumbai via Indore. After landing in DEL, as the airline had provided a very tight connecting flight from Delhi to Mumbai as a result of which that connection was missed. So the airline staff, had provided an alternate connecting flight but this was via Indore which added up to the travel time which was not exactly ideal. What was surprising was that the airline did not have any connecting flights to Mumbai from Delhi between 9am till 3pm. Because Delhi to Mumbai is usually such a trunk route that there are enough flights. So this was not very good. During the checkin of the flight, the check-in agent was very helpful and told us about the status of the flight including the seat availability and other details which was really helpful. 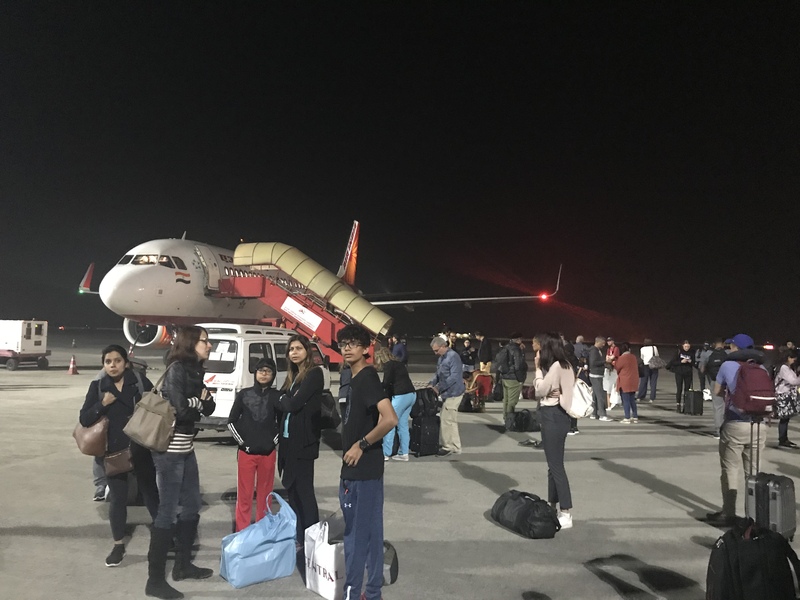 The flight in itself was slightly delayed due to connecting passengers from Srinagar. From Delhi to Indore a light snack featuring a sandwich and a drink were provided which was good. After landing in Indore, we had to sit inside the aircraft as the servicing was done and other passengers joined in. For the remaining Indore-Mumbai leg, again a snackbox was provided and arrival was 30 mins delayed which was not preferable. It seems that Air India's international product is fabulous but on the domestic sector there can be improvements with regards to the frequency of flights / flight delays. The flights were pretty decent. Would recommend but would expect more connections and frequencies of flights because I had to wait almost 5 hours to get my connecting flight back to Mumbai and that also with a stopover. "it's going to be worse"
✅ Trip Verified | No matter how bad you think the Air India might be, it's actually going to be worse than that. 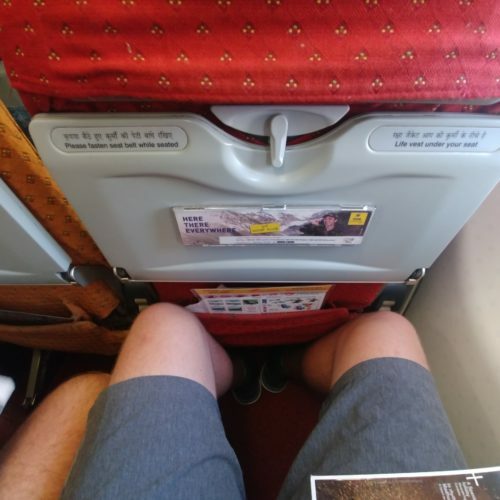 I'm a multi-million miler, and I'd be hard pressed to think of a worse experience than 15 hours on Air India. 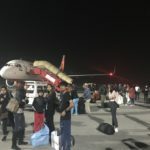 Not all of it is the airline's fault--but if you connect from a domestic flight to leave from Delhi, you go through seven different ID and security checks before getting on the plane: everything from accessing the terminal to accessing the gate, each has its own separate security inspection. I'm not sure what terrible people they believe would pose a threat to an airline which needs no help falling apart. At the gate. We were delayed several hours for reasons unknown and unexplained. When we did board, there was immense disappointment. The seat cushion at my seat was clearly from a regional aircraft and did not fit the seat, It covered maybe 75% of the seat area, and the rest of me was sitting on the gap or directly on the metal seat frame. The entertainment system was non-functional. 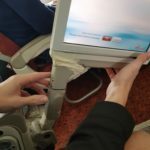 A 15 hour flight, and it was broken. But whatever, it's 4AM and we've been waiting almost four hours to leave. It's time to push back. And we're back to the gate. At least the pilot checked to see if we had fuel before taking off. Because apparently we didn't have enough. And refueling took another 40 minutes. That hardly seems like a top up because we idled the engines for too long. And now we're finally on our way. The food served was...pretty dreadful. The cabin crew did their best, but the condition of the aircraft wasn't their fault. However, the cleanliness of the aircraft was indeed their responsibility. By midflight, all but one lavatory had run out of toilet paper and paper towels. The one lavatory which hadn't run out of paper had an actual hole punched in the bottom of the toilet, and was covered in human waste as it could no longer flush. It was probably the most disgusting thing I'd ever seen, and even worse, there were no alternatives--waiting another 6 hours wouldn't end well for me. The ironic thing is that the inflight maps show the locations of famous shipwrecks as you fly over them--which serves as a reminder that there are some journeys that actually are worse than flying Air India. Change here needs to start from the top, and run through this organization like an avalanche. They'll need years of good reviews and quality results before I'd consider them again, but I don't think they'll have that luxury. ✅ Trip Verified | Chennai to Delhi. I was skeptical when booking a flight with Air India because the website is like from 90'. When boarding I was pleasantly surprised. 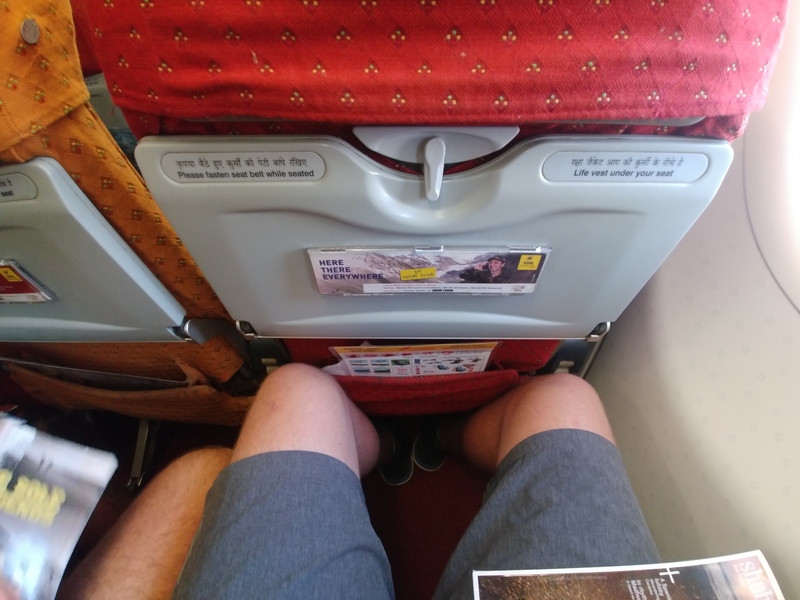 Even for me (2m tall guy) more than enough leg room, comfortable seats. The dinner was included for this short (2h30m) flight. ✅ Trip Verified | Delhi to Kathmandu. Don't ever fly this this airlines, it was overbooked and they will just bump you out of the flight. The duty managers, and ground staff are very impolite, lack hospitality and are unaware about customer rights. "one of Air India's best products"
✅ Trip Verified | The second onward connection from Delhi to San Francisco was scheduled in the evening and on this sector surprisingly not all the seats were full as the airline has increased the frequency of flights to SFO. Boarding happened on time and departure was ahead of the scheduled time which was a big plus. Once airborne on this 17 hour flight, the crew regularly looked after the passengers with food and drinks at regular intervals. At my seat the IFE was not working but it was not of any real consequence as I had planned on maximizing my sleep / rest time onboard. There were 3 hot meals provided on this sector with refreshments / dinner / breakfast provided. As there were some seats vacant I was able to slip back to those seats, stretch out and take good rest for 3-4 hours which was a huge advantage as I was feeling really fresh upon arrival which was 15 minutes ahead of schedule. I believe along with DEL-JFK, this flight is also one of Air India's best products as it reduces the travel time considerably and the service is warm and hospitable. Kudos to the crew for an amazing flight. ✅ Trip Verified | I had taken the morning flight to Delhi as part of my onward connection to San Francisco and as the web check-in was already done prior to arriving at the airport, the baggage just had to be dropped at the counter. Then post security checks boarding happened on time which was a plus but as the checked in baggage was still getting loaded it caused a slight delay in pushback and departure happened 20 mins past the scheduled time. Once airborne, refreshments were served consisting of pav Bhaji with samosa chaat and chocolate cake which was very sumptuous. Arrival into Delhi was 15 mins past the departure time but it didn't cause any problems with catching the onward flight. It was a good standard flight and everything went well. Thank you Air India. Not Verified | Flight was delayed from Goa to Bangalore by 8 hours by Air India, then they brought our connecting flight from Bangalore to Bangkok forward by one hour too. Therefore missed the Bangkok flight. The staff at Bangalore were the most unhelpful, lazy staff I have ever encountered. Eventually, wanted to reroute us to Delhi, wait for hours there, and then fly to Bangkok arriving more than a day late. Ended up buying a new ticket from Bangalore to Bangkok with another airline. Low and behold our returning flight with Air India we were informed when we arrived at he airport at 4am, was delayed by 8.5 hours. Missed our connecting flight again, going back to Goa and had to buy new tickets. Air India totally didn't care. Useless, airline - don't deserve any business. Will never use again. Avoid at all costs. "not recommend anyone to use"
Not Verified | Sydney to Delhi. What a way to celebrate the international womens day than spend 5 hours with mom at the Delhi customs office, where we literally left close to midnight. This is after completing a 12 hour journey from Sydney on a flight with Air India. On the day that Air India was boasting about having an all women crew on all flights originating from India, My mother and I were struggling dealing with the rash, unprofessional and unethical officials at the AI office. This was my first and last experience with Air India My only reason to opt for this airline was because Air India is the only flight that was flying direct, allowing me and my pet to travel together. There were a lot things that went down that day, that showed lack to professionalism, ethics, corruption and misconduct. Firstly, my pet exporting company did not get a response from Air India till less than 24 hrs of travel , despite submitting all documentation more than a week ago . Secondly , I was waiting at the airport for least 40 mins as per the advice of the baggage team for my pets collection. After constantly nagging them for more Information, they told me to collect the cat from the cargo area without any directions provided to locate of the building. The Air India cargo group and customs office had absolutely no idea on how to deal with the import of a pet . There was a very obvious lack of training , and lack of knowledge of the process and protocol . All I saw was chaos and officials palming us off from one dept to another. Thirdly , air india mucked me around for another 2 hours before actually sending me to the right dept, all I heard throughout my discussion with them was whether I have an agent as they mostly deal with agents. I assume these are the middle men who get the job done. I told them there is no need for these as ACQS India has a well defined protocol that they should be following , to which that had absolutely no response apart from "I should hire an agent. " The middle men in India will follow the same process as what I did, the only difference would be some extra cash they slip in the pockets of these officials, who did not seem to want to do the job. I was also told that the server was down for maintenance that day, and the money has to be transferred online and only using the net bank of public banks such as PNB. 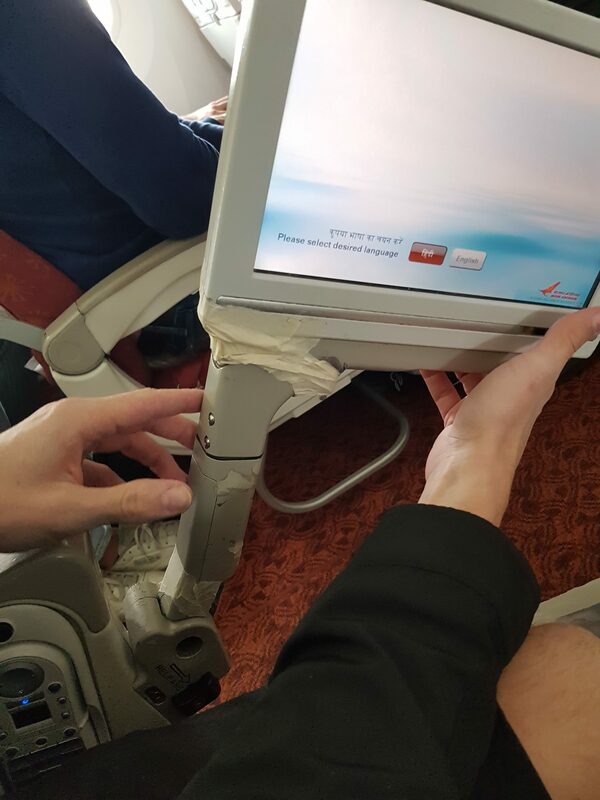 The customs kept repeating that the Air India was not responding . However when my mom reached her threshold at 10. 30 pm and lashed out at the entire dept creating a a scene, the job was done within 15 mins. Air India was responding , the server was working and the money was collected in cash. We were given the gate pass to collect our cat and mom and I finally left the premises at 11 pm at night. This was my warm welcome back to my country. I can only imagine the loops they make foreign citizens go through. Finally, Air India has a vigilance dept, which provides a phone no. to report such misconduct and malpractices. As expected the number does not work. I do hope no one else goes through, what I went through I would not recommend anyone to use this airline after my experience. The airline is 2.5 on a scale of 10, there are some serious concerns with the management.